Digital divide visualisation in a broader sense is encompassing a novel methodology of measuring gaps in two dimensions (static and time distance measures) and analysing ICT together with other development attributes. Using Sweden as a benchmark the graphs for 186-200 countries for three ICT indicators per 100 inhabitants (mobile phones, Internet users and fixed broadband penetration) will be shown for two measures of disparity for 2008: static index (Sweden=100) and time lag behind Sweden. On the one hand, the global digital divide measured by static degree of disparity is very high especially in the more demanding sectors. This needs to be addressed by the world community. 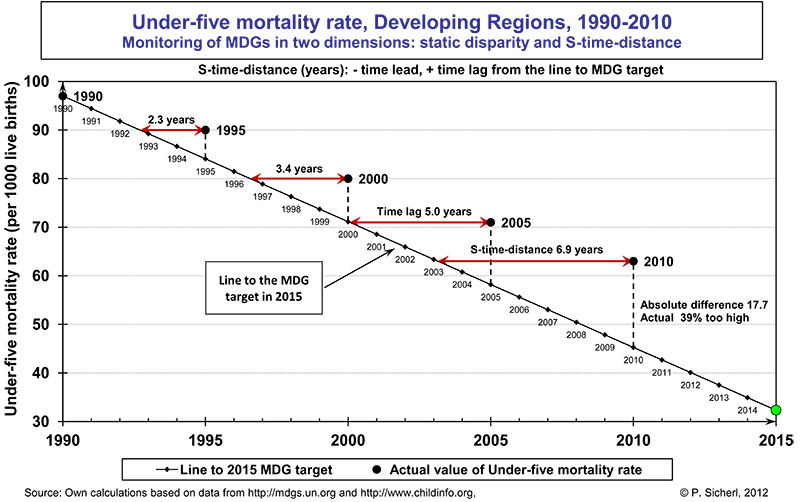 On the other hand, the rapid speed of ICT diffusion shows that the time distance lag behind Sweden is between 8 to 12 years compared with life expectancy (66 years) and infant survival rate (72 years). Thus the potential of technological progress can with additional help create the opportunity for the ICT sector to become important instrument to reduce world disparities and promote sustainable development. Improved governance needs also better tools for fact based decision making. The time distance methodology can be used both for benchmarking and monitoring also for digital divide at other levels and also across indicators in other domains on macro and micro levels.